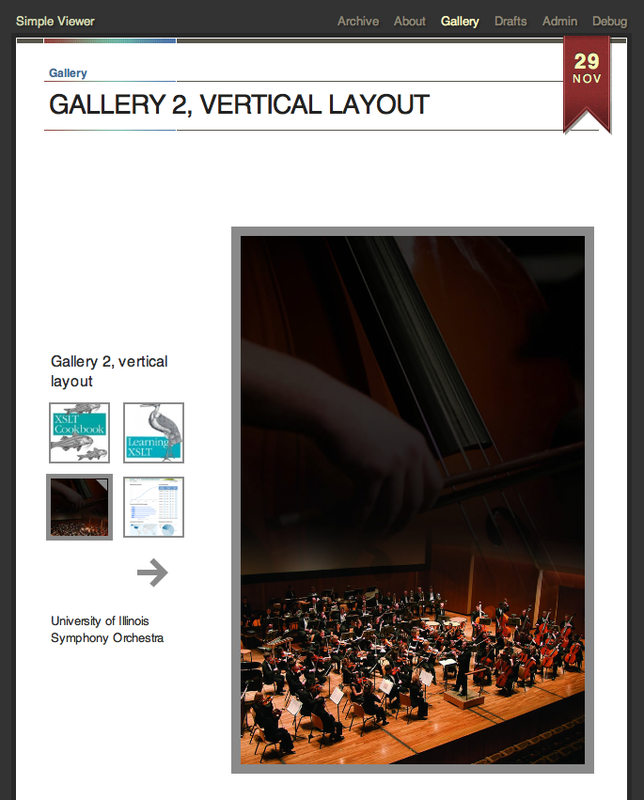 “SimpleViewer” – Ensembles – Download – Symphony. This is the SimpleViewer image gallery integrated into the default Spectrum theme. 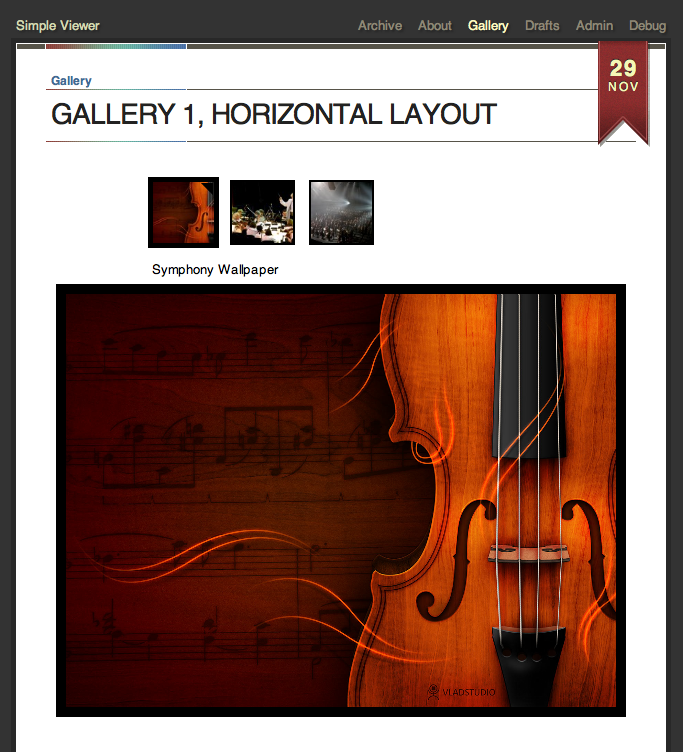 Illustrates how to manage your SimpleViewer galleries with Symphony.